​Serious Sam 3: BFE is a glorious throwback to the golden age of first-person shooters where men were men, cover was for amateurs and pulling the trigger made things go boom. 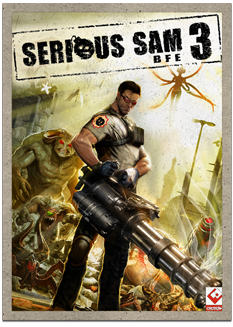 Serving as a prequel to the original indie sensation, Serious Sam: The First Encounter, Serious Sam 3 takes place during the Earth’s final struggle against Mental’s invading legions of beasts and mercenaries. Set against the collapsing temples of an ancient civilization and the crumbling cities of 22nd century Egypt, Serious Sam 3 is an exhilarating fusion of classic twitch shooters and modern gameplay features.